You could argue that it's the year of the elephant - with Ringling Bros. announcing it will phase out its use of elephants in traveling acts, California lawmakers passing bills to ban the bullhook, Hawaii's governor barring elephant acts, and both China and the federal government of the United States making specific pledges to end the commercial trade in ivory. You could also say it's the year of the chimp, with the end of invasive experiments on our closest living relatives. But there's also a case to be made that it's the year of the chicken, with a cascade of announcements from major food retailers that they will eliminate the practice of buying eggs from farms that confine hens in cages. Today, there was another announcement that puts one more feather in that hat. I'm pleased to announce that Starbucks, one of America's biggest and best-known retail brands, is switching to 100 percent cage-free eggs by 2020, offering the prospect of a better life for tens of thousands of hens. I told you in December on the blog that Starbucks was going cage-free, but at the time, there was no phase-out date. Today, we have a specific timeline. A decade ago, Whole Foods was the only major food seller with 100 percent cage-free eggs, and Bon Appétit Management Company was the only food service company to take on the issue. Today, the five largest food service companies (Compass Group, Aramark, Sodexo, Delaware North, and Centerplate) all have timelines to switch to 100 percent cage-free eggs, and most of them made or fortified their announcements in 2015. Unilever (maker of Hellmann's/Best Foods) is going 100 percent cage-free by 2020. Burger King is switching to 100 percent cage-free eggs by 2017. And McDonald's - which buys nearly four percent of all eggs in the country - announced this month that it's switching all of the two billion eggs it uses annually to cage-free within 10 years. 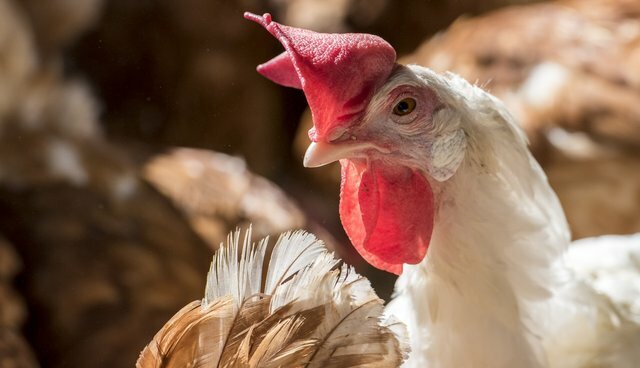 The world's biggest food retailer, Walmart, has pledged to honor the Five Freedoms of Animal Welfare and shift away from battery cages. When I started an animal advocacy group at Yale in the mid-1980s, confronting factory farming as a moral imperative, it seemed an immovable mountain. Industrial agriculture interests were entrenched and able to fend off maneuvers from a poorly organized animal protection movement, corporations in the food retail sector were inattentive to these concerns, and consumers were largely in the dark. But we are on the cusp of a major turn in the road when it comes to agriculture and food. We are getting closer to the end of the era of intensive confinement of animals on factory farms. And the biggest arena of change is in the corporate sector. The leadership demonstrated by companies like Starbucks, along with the powerful impact of voters in California approving Prop 2 in 2008, are driving the sort of change that all of us have sought for years. It is time not to relent, but to push even harder for a quick transition away from our failed national experiment in confining and immobilizing animals as a protein production strategy. A cage-free future awaits.